New Genesis Mining Contracts – $6k Investment nets $12k reward! Genesis Cloud Mining opened up sales for a new batch of mining contracts this week (Tuesday November 21st 2017) and like most sales in the Crypto world, they are Pre-Order for March 2018. I have been looking at Genesis for a while now as an option for those friends and family’s that don’t want noisy hot miners in there houses. I am also accustom to the pre-order queue and so this doesn’t bother me too much. I had to wait 6 months for my Butterfly Labs kit! I could not recommend anything unless I would be willing to invest myself so I did some sums and the return for very little effort looks really good. Pool fees for the Bitcoin contract works out at $0.00028 per GH/s purchased per day then this is subtracted from your daily earnings. The remainder is paid to you in BTC daily. If we base this on today figures (difficulty and BTC price), please bear in mind difficulty rate and value of BTC affect the pay-outs. We should expect to see the difficulty increase (making pay-outs less) but also the price of BTC is increasing so its really hard to judge what will happen in 6 months time, all we can do is speculate on todays figures and a mix of projections, history and pure grit to make a decision on what to do. lets cover the tangible things we know. based on the initial daily pay out of about $60.59 this would work out to a pool fee of approx. 18.5% but expect this % to increase as time goes on but the $11.20 will be fixed. That works out to appox. 125 Days ROI for very little effort. Someone else is doing the hard work of looking after your miners. 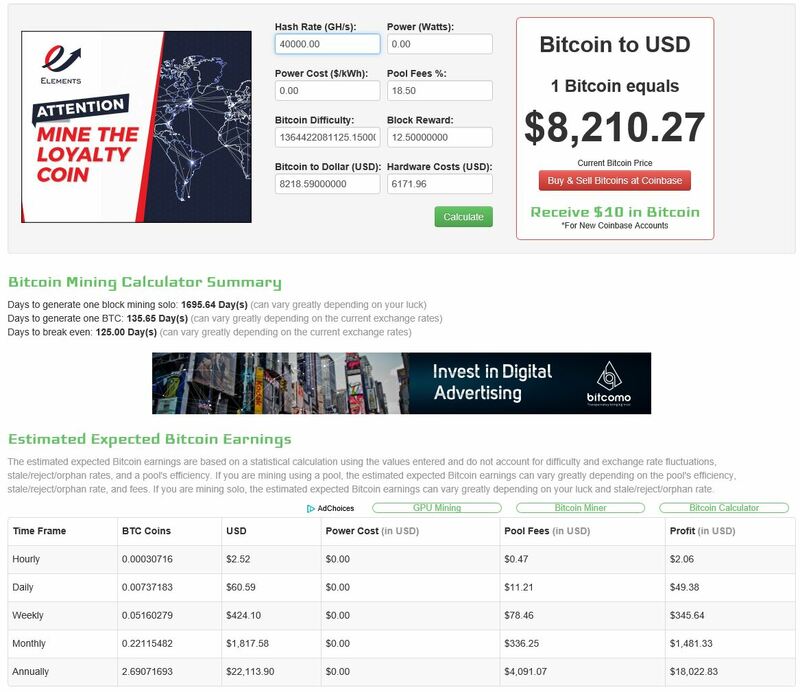 What I am interested in seeing, is how much BTC is returned to me once mining has started, will it be as projected (2.69BTC)? will I actually get my 0.75 BTC back and then some? How much will 2 BTC worth this time next year? $10K or maybe $20K?